Try this fun and simple app to see how smart are you. 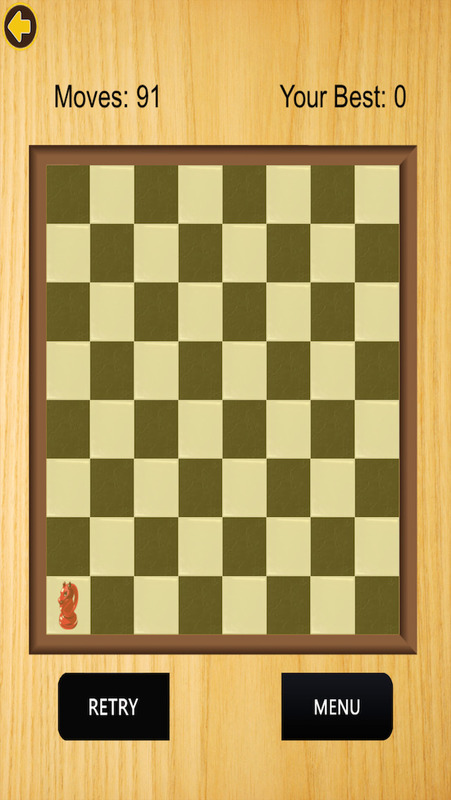 Game includes a simple problem; use your knight on a chess board to navigate all chess squares. In the first and easier version you can visit the same place as mush as you want but you have visit all blocks in the least moves possible. Try and play again and again and see if you can beat your lowest or the lowest of other players in the leader boards.